Royal Mail has apologised over a stamp design planned to commemorate the D-Day landings which actually showed US troops on a beach in Asia. 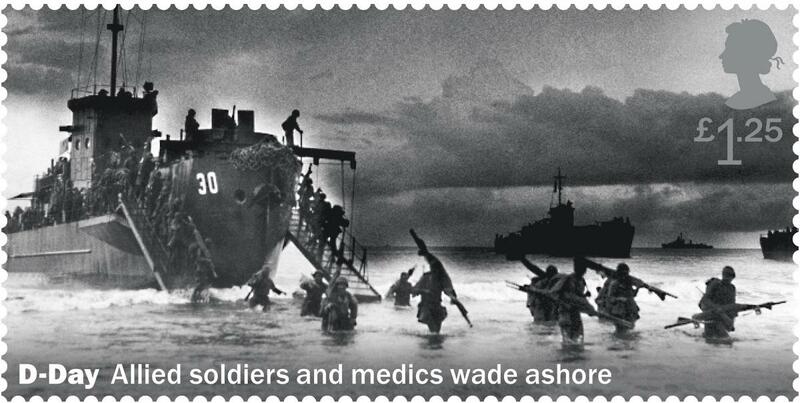 The stamp was intended to represent British troops landing in France and was labelled as "D-Day Allied soldiers and medics wade ashore". It was part of the 2019 Special Stamp programme showcasing the "Best of British" and was to be released in June. Royal Mail said the image will no longer be part of the final collection. The stamp was set to be part of a 2019 showcase titled 'Best of British' but wrongly pictured US soldiers in Asia, not the D-day landings. A spokesman said: "We work very hard to ensure that our Special Stamp programme appropriately commemorates anniversaries and events that are relevant to UK heritage and life. "We would like to offer our sincere apologies that our preview release for our 2019 Special Stamp programme included a stamp design which had been incorrectly associated with the D-Day landings." When an image of the stamp was posted on Twitter users were quick to point out the mistake. Paul Woodadge, a filmmaker, author and historian, said: "The image chosen actually depicts US troops disembarking from LCI(L) 30 at Dutch New Guinea in May 1944. Please correct this or you will look like idiots." According to The Spirit of Normandy Trust this is not the first time an incorrect image has been used in relation to the D-Day landings. Ian Stewart, vice chairman of the trust, said: "The problem with most of these things is that research has got to be thorough and done well ahead of time. "It's very unfortunate, but research is absolutely critical and it's not the first time it's been done about D-Day. People think that it doesn't matter who's in the photograph." The "Best of British" collection will feature 11 stamps to mark the 75th anniversary of the D-Day landings. The collection will also include six stamps to commemorate the life of Queen Victoria, whose bicentenary will take place in May 2019.